Please note: the 'Household Equipment' sub-category of the Komono category is going to be split into two separate posts. The first (this post) is going to focus on Stationery supplies e.g. pens, pencils, felts, and office supplies. 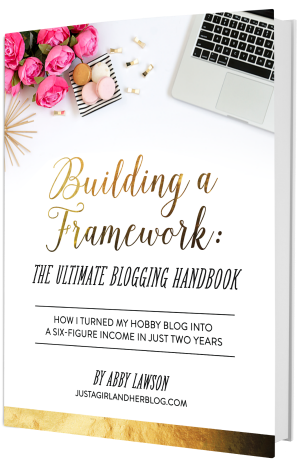 You can read about how I got on HERE. The second will be all about Craft supplies, including paper used for craft, which I am about to share with you today. I have a lot of 'craft supplies' tucked away in different areas of my home. 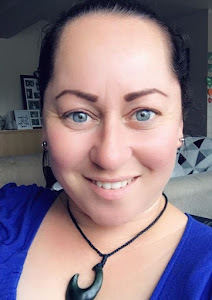 I am teacher, a mum, and a creative person (at the best of times) and I am drawn to ALL types of craft supplies - I just can't help myself. 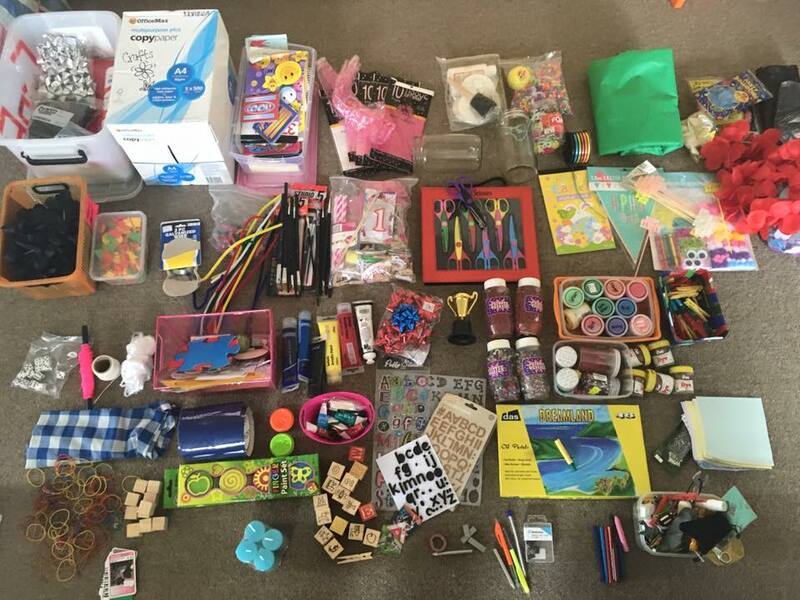 Over the years I have thrown stuff away or donated it, however I am still left with a big pile of miscellaneous craft supplies, some of which I have not used in YEARS! 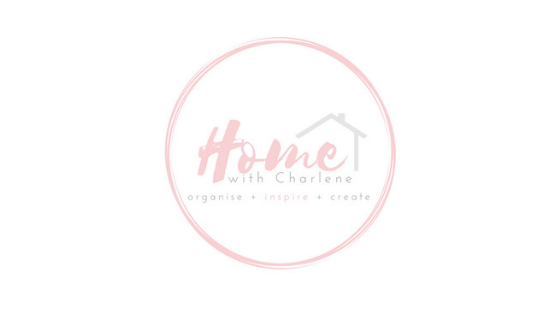 So, I am super excited about getting stuck in and seeing what I have, what sparks joy and what I will purging...this is where Marie Kondo's saying "Keep things because you love them - not just because" is going to come in handy! See...I told you I had a lot of craft supplies - well to me I think it's a lot. As I have said in my previous KonMari posts - I love seeing EVERYTHING spread out on the floor because it shows the full magnitude of what I currently own, and it didn't surprise me one bit. I know I have an addiction to craft supplies, I mean, seriously who doesn't? Before I took this photo, all of my craft supplies were temporarily stored in a 90L container and a maybe half of a 60L container, this was after going through all areas in my home (especially my office) and corralling it in one place. I truly believe sorting by category, not by location is THE BEST way to go through your belongings, and if you can do a pre-sort beforehand, even better...that way you know when you work your way through each category, you won't have to worry about finding items in random places...but if you do, well as Marie Konda says - you can say goodbye to them forever. 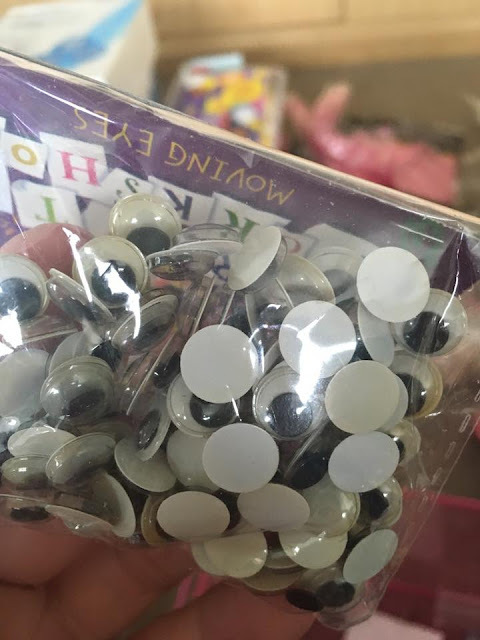 While I was working my way through my craft supplies, touching and holding everything I owned, I came across this bag of unopened 'moving eyes'. I couldn't tell you how old they were, however they had a yellow stain in them and would be no good for crafts, quite possibly unsafe, so they went straight in the bin, as well as face-paint (some were over 5 years old) and some old dried up dye I had. I also came across craft supplies I never even knew I had...like my Easter crafts - I completely forgot I bought these on Clearance after Easter last year (in my defence, I did pack up my whole house shortly after Easter). Lucky I found them, because I could have easily gone crazy this year, so finding these supplies was in fact good timing, especially with Easter only a couple of weeks away. I will be making an 'Easter Craft Box' (like I did with my Christmas Craft Supplies) in the next week, using my supplies that 'spark joy', so watch this space. After the inital purging process, which involved me holding EVERY item I owned and asking the question "Does this spark joy"? I was left with this. Now I know it looks like a lot, but believe it or not, I purged about half of what I owned, and that is pretty good, I am very proud of myself for achieving that. Looking at this pile, I can see what I have and the craft activities I have planned for my kids in the coming months and for that, I am super excited. The biggest test would be using what I have on hand, instead of buying new stuff and that is a goal of mine - wish me luck. Not shown in this photo or post is my craft paper. I was going to add it to this category, however what I do have on-hand I am keeping. I have a ream of A4 white paper and a ream of A4 coloured paper, plus a small pile of A3 newsprint, white cartridge and black paper - enough to keep me and the kids entertained. I have found buying the kids A3 Art sketchpad from KMart really handy, a cheaper alternative to buying school cartridge paper. Phew! I am DONE! I have corralled all like things together, for the time being, until I complete the KonMari purge process. 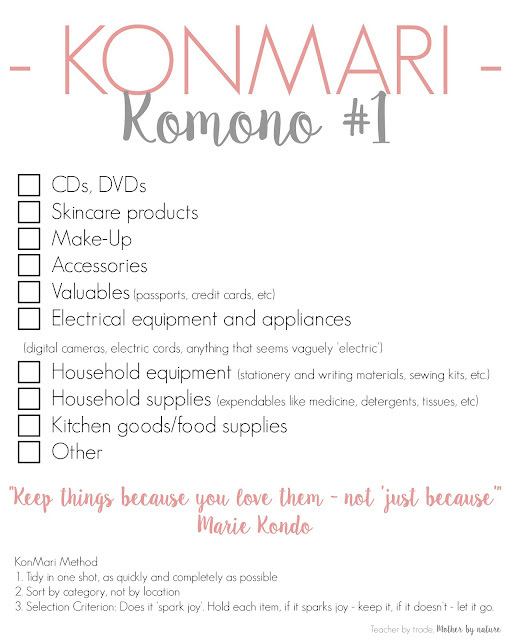 Once I have finished the KonMari Method on my whole house, I will go back through and organise my areas properly. Now I don't feel overwhelmed by my craft supply collection. Everything I need is here, and I can find it easily. 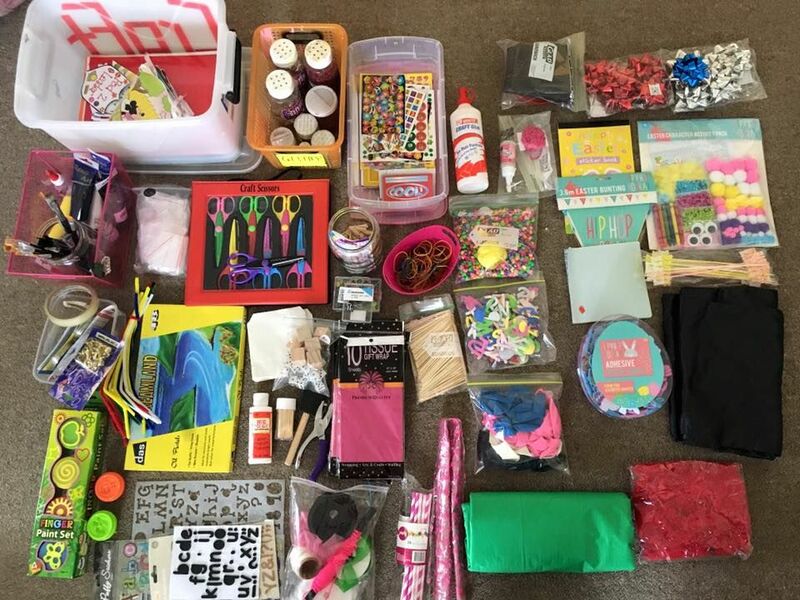 Paints, Glitter, Scissors, Stickers, Easter Decorations & supplies, plus my craft & party supplies in the 'craft box' container. This sparks joy for me! What began as an overwhelming task, turned into something quite positive for me. I had kept so many craft supplies "just because", and I had not used them, loved them or plan to use them so out they went and it FEELS GREAT!!! 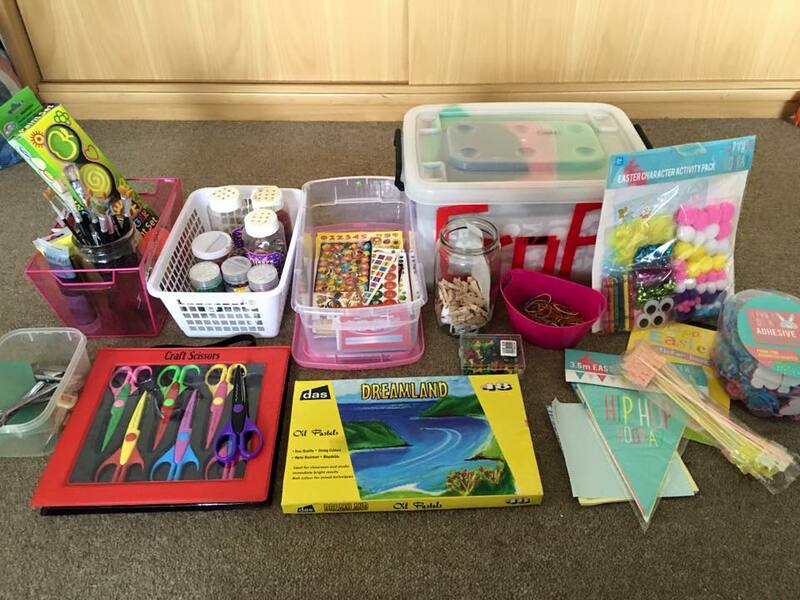 It feels great knowing what I have, I will use with my kids and I'm really excited about getting my 'craft-on'! 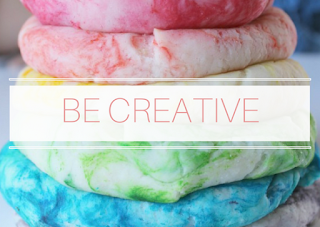 Are you addicted to craft supplies? 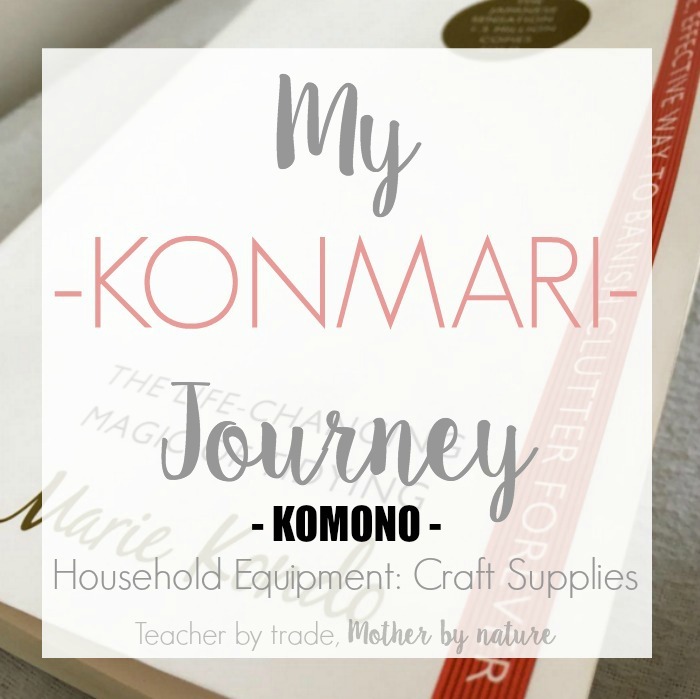 Do you own a lot of craft supplies? Do you feel overwhelmed by it all? 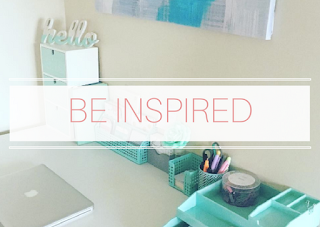 Do you have one or two craft items you simply can't live without? Awesome job, I would have struggled throwing craft stuff away because I am addicted to craft supplies too! I need to organise them so badly, at the moment they are spread through about 5 different boxes that were initially organised but have become a mess thanks to my 4 year old inheriting both her parents love of art & craft and constantly rummaging through them looking for something fun to craft with. 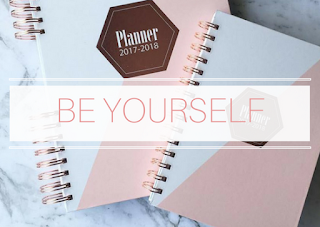 I am going to put this on my list to do in two Tuesday's time (today and next Tuesday are already fully booked, 1 child-free day a week is not enough!). Good luck with your Craft purge/organisation Kylie! Let me know how you get on. Craft supplies and stationary are my drugs.....totally hooked. I have been thinking about have a de-stash though as some crafting plans I had in the past no longer appeal to me. Might have to get my KON on! KON away Nikki! You might even find things, hidden treasures perhaps, you never knew you had! Wow! So many rainy day activities there Charlene!! Loving this decluttering journey. I reckon it won't be long til I hop on this train. My cupboards are looking at me - lol! 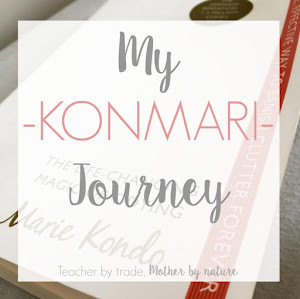 Ooh do it Jo, it's good to have a really good clean out - and the best thing about KonMari is if you do it right the first time, you won't need to do it again! Same here Nicole! I am already seeing changes in our home and in the things that I do. I can find things easily, I haven't needed to buy anything to replace something I have purged. I am surrounded by things that spark joy. Still got a bit to work through and then it's on to the kids things! Hope you stick around. We are overflowing with craft supplies here. I recently went through one box of craft supplies and sorted it out properly only to have the 19 month old go through it and empty the contents!! oh yes! Good ol toddlers! Maybe create a little craft box for him? Have you seen my Christmas and most recently the Easter Craft Box? It makes so much sense to sort by category and not location. Although I'm not following the Konmari method strictly I have adopted this strategy for my own decluttering. Thanks for these inspirational posts. It really does! Sorting by category allows you to see what you own, then you declutter the things that don't spark joy. This will be one Konmari thing that I'm going to totally ace - because I have zero craft supplies. I am the world's worst crafter and finally it's worked to my advantage! 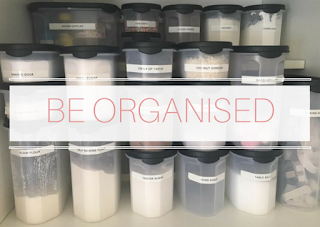 You've done so much organising... surely there can't be anything else left? Go you Sammie! I have my kitchen, teacher resources and sentimental items to do...then I am thinking of going through the kids stuff! !